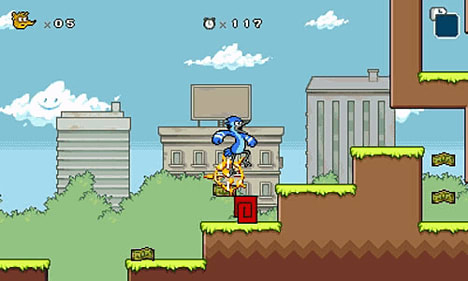 Making its first foray into the video game world, Regular Show: Mordecai and Rigby In 8-bit Land brings best buds Mordecai and Rigby and their adventures from the Emmy Award-winning animated comedy to the Nintendo 3DS. 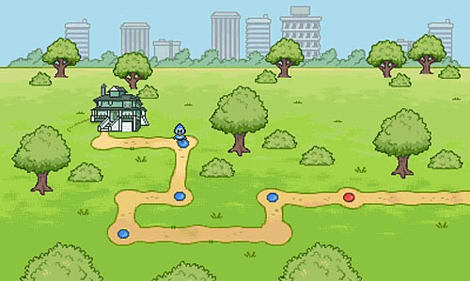 When Mordecai and Rigby get transported into some mysterious video games, they’ll have to use their best skills and unique abilities to traverse the various challenges to escape and get back home in this brand-new ‘eggscellent’ journey. This hi-jinx filled adventure is packed with action platforming, side-scroller space shooting, old-school top down video game mania, and comes fully loaded with fan-favorite characters and humor from the show. 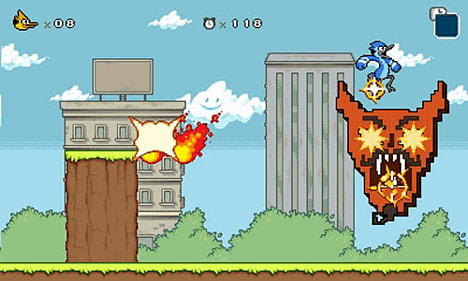 Play as Mordecai and Rigby – Use their unique powers to battle epic bosses and escape 8-Bit Land in one piece! 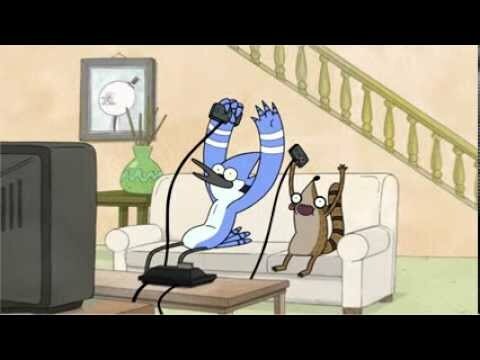 Creative Involvement with Regular Show Creator – Original storyline and concept written by series creator JG Quintel. 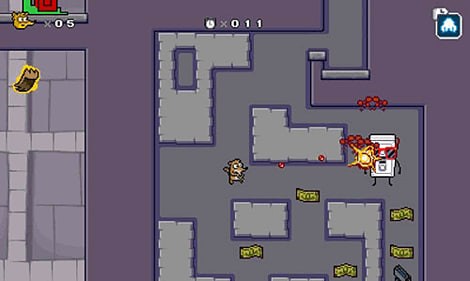 Battle Mordecai and Rigby’s Greatest Enemies – Watch out for enemies with powerful attack moves that look to thwart Mordecai and Rigby’s escape from this diabolical death trap, including tough guys, mutant jellyfish, the seemingly invulnerable The Hammer, and more. 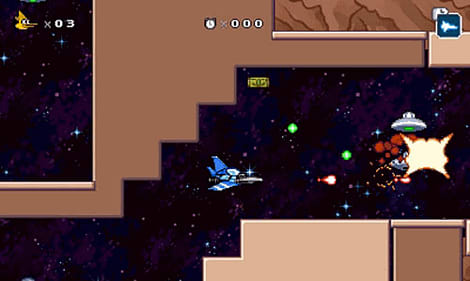 Three Different Old-School Games in One Awesome Adventure – This unique action adventure gameplay challenges players to master different game modes including action platforming, side-scroller space shooting, and top down shooters. Collect and Unlock Regular Show Favorites – Collect fanny packs, golden tapes, and more to unlock awesome Regular Show exclusives like concept art and clips from unreleased episodes. Get 8-Bit! – Regular Show reimagined! 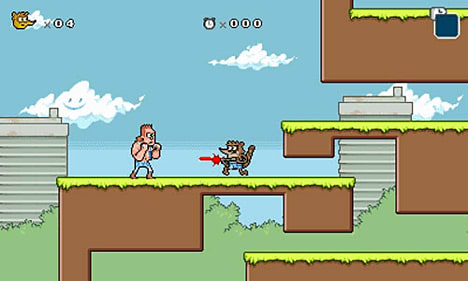 Go old-school in awesome retro style 8-bit graphics – a perfect fit for the 80s-inspired show.